In a joint research project with the tribology laboratory at the College of Science and Engineering at Kanazawa University in Japan, Yokohama has developed an evaluation technology that visualizes a rubber’s frictional state of contact on an icy surface (image of a tire in motion). The technology will enable the discovery of new compounding agents with excellent water absorbency and facilitate more precise development of tread patterns that have a higher drainage performance. Ultimately this will enable the development of winter tires with a dramatically improved ice performance. When running on ice, the tire’s inability to make firm contact with the road surface due to the watery film generated by the icy surface reduces the tire’s grip. Studless snow tires use water absorbing agents and tread patterns with high drainage performance to counter the watery film. However, when observing a tire’s contact with the road, it has been difficult to distinguish the area where water is between the road surface and the rubber from the area where the rubber is in direct contact with the road surface (real contact area). As a result it has been difficult to accurately grasp the degree of real contact. Engineers at Yokohama and the university developed a specialized testing machine equipped with a high-speed camera that enables visualization of the tires’ contact with the ground and succeeds in identifying the real contact area. Furthermore, by establishing an analytical technique for digitizing contact images, engineers succeeded in numerically evaluating the water absorbency and drainage of tire rubber. The test system is able to directly observe frictional behavior between a rubber sample and ice or a smooth transparent disk used to replicate ice at speeds of up to 50km/h. Its high-speed camera can take one million micro-level images per second of the tire rubber’s contact area with the road surface. It also can simultaneously measure the frictional force during the test. 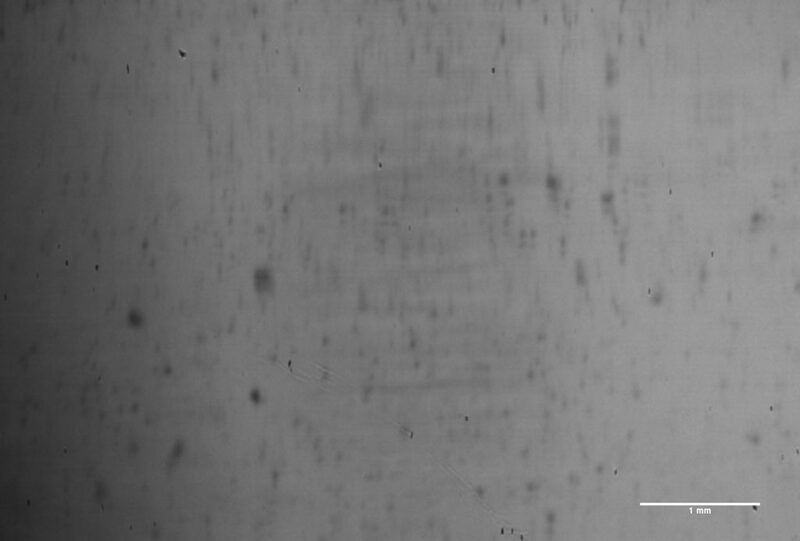 Images taken with the testing machine are dark only in the real contact area. Rubber that includes a water-absorbing agent shows darkness over a wider area than rubber that does not include the water-absorbing agent. Furthermore, as a result of digitizing the image with the newly developed analytical technique to associate the contact area with the frictional force, it was revealed that the calculated numerical value has a high correlation with the frictional force of the rubber. Yokohama Rubber is using the new technology widely in its development of winter tires, from studless snow tires for Japan to winter tires for the European market and all-season products. 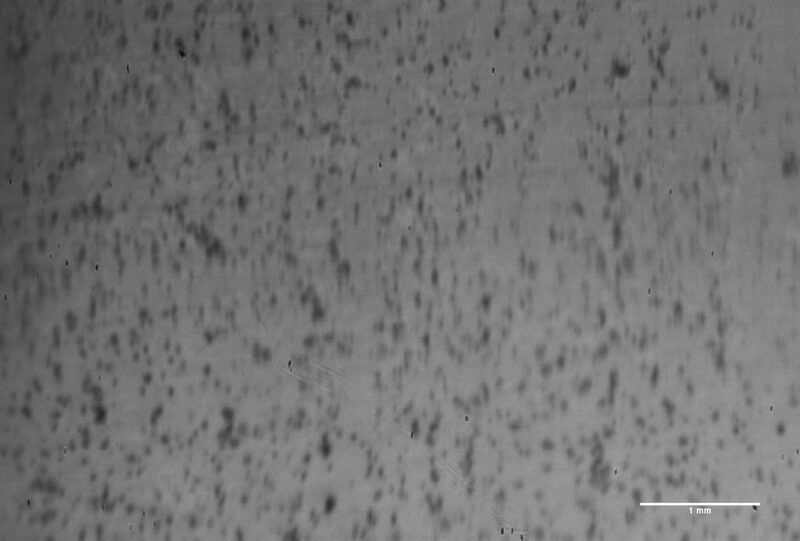 1b While the rubber not including a water-absorbing agent has few black spots (real contact area), indicating little direct contact between tire and road surface, the rubber including a water-absorbing agent has many more black spots, which clearly shows the expansion of real contact achieved by the use of the water-absorbing agent.